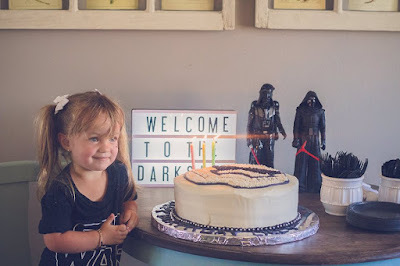 Wasn't I on here just the other day sharing her first birthday, her weight checks, talking about adapting to life as a new mom? 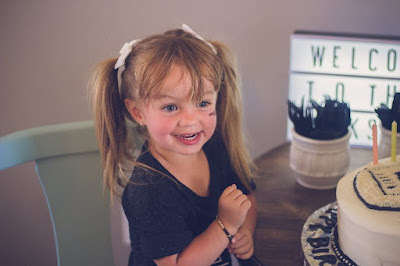 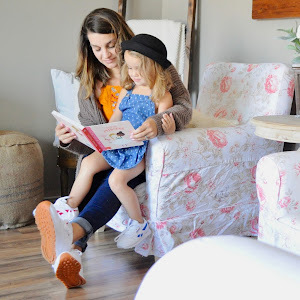 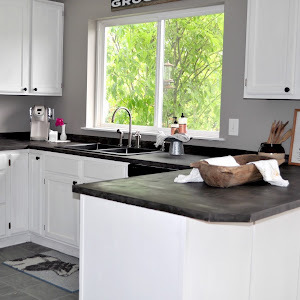 It has gone so fast and blogging about here milestones reminds me how far this little blog has come. 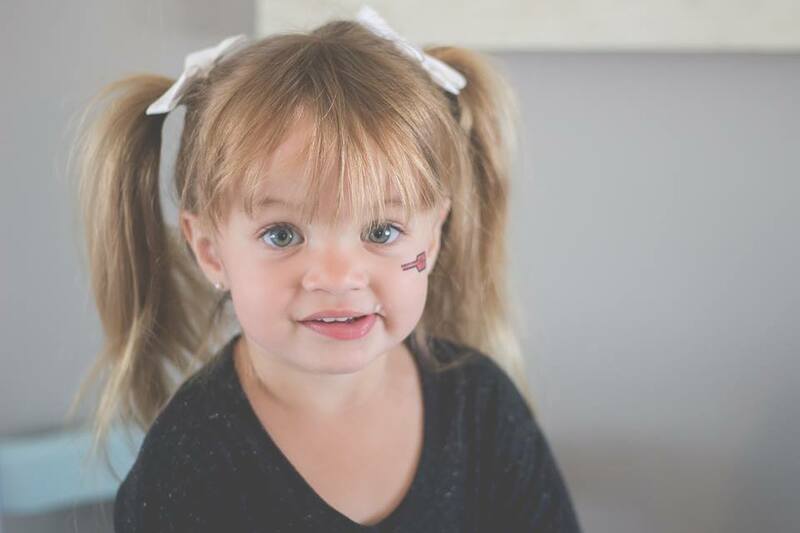 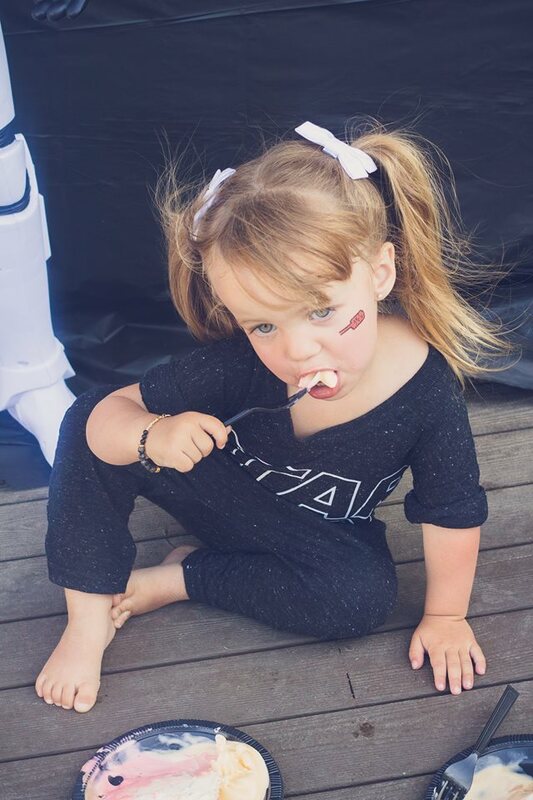 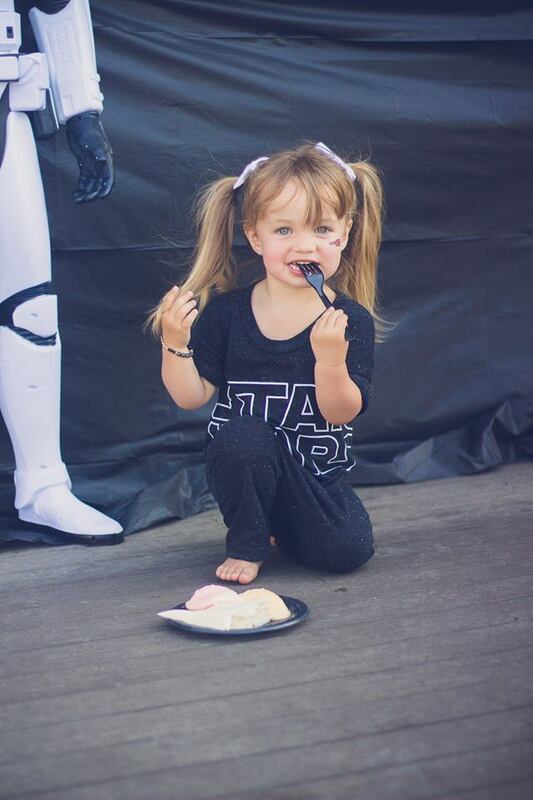 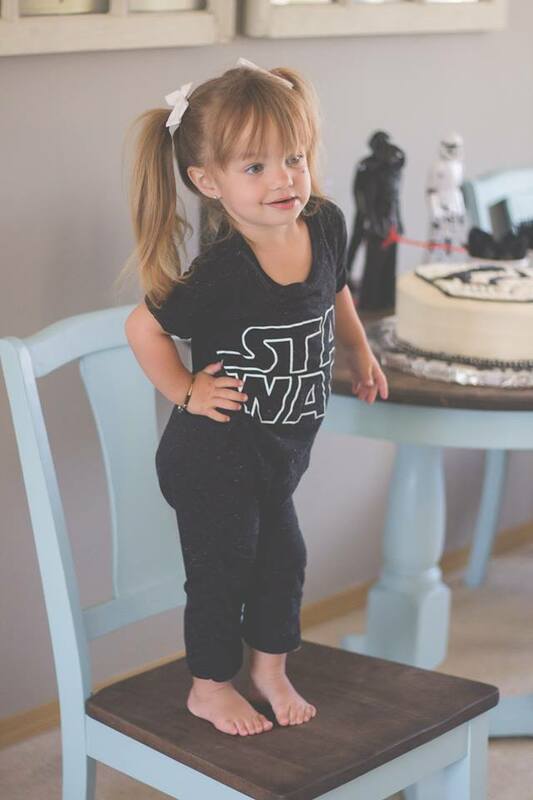 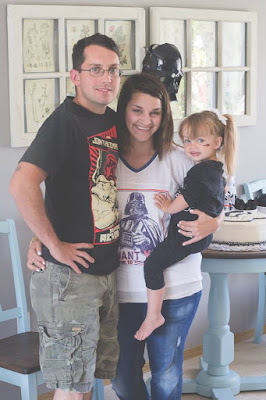 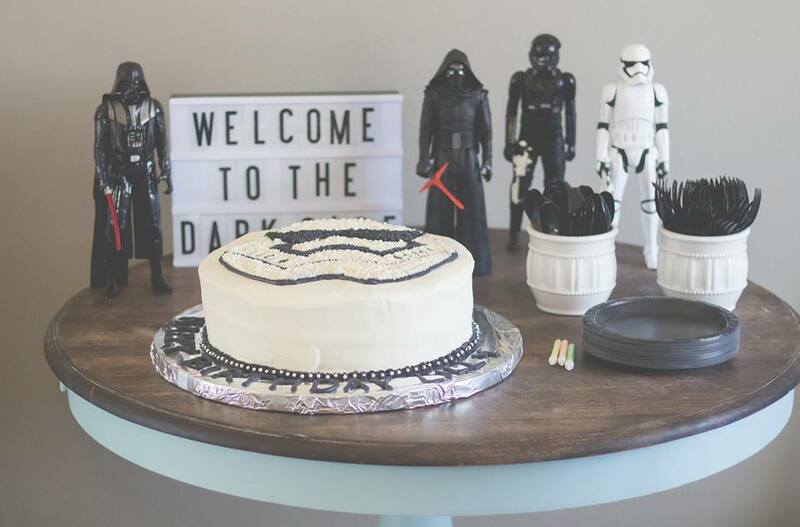 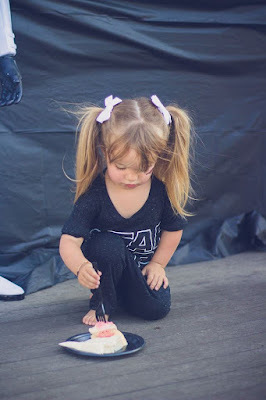 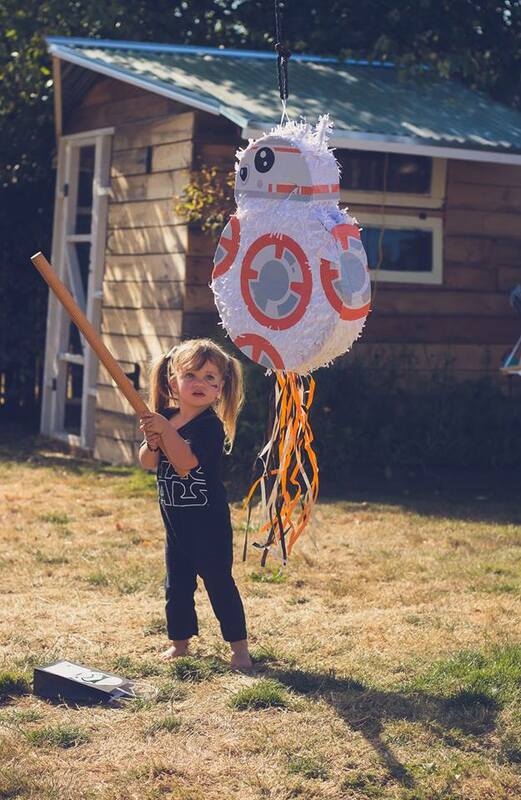 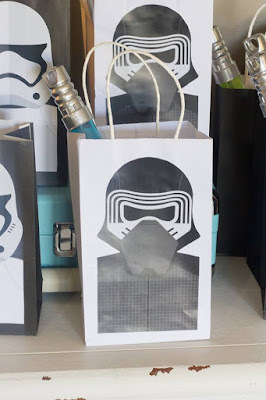 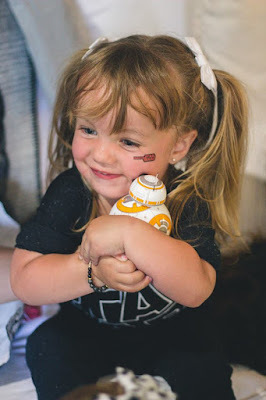 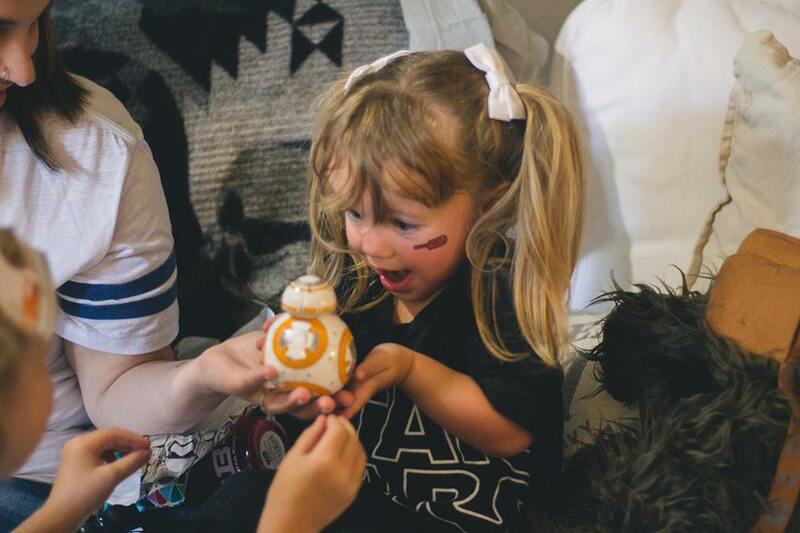 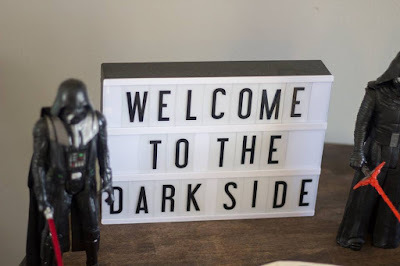 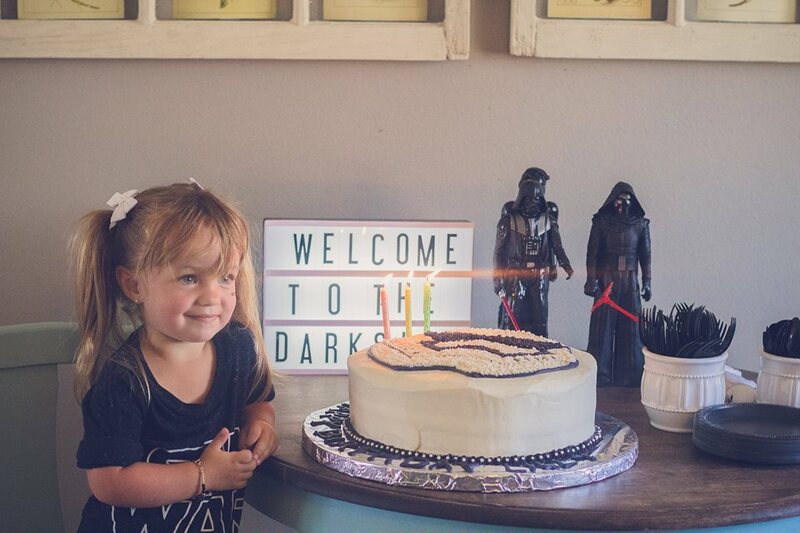 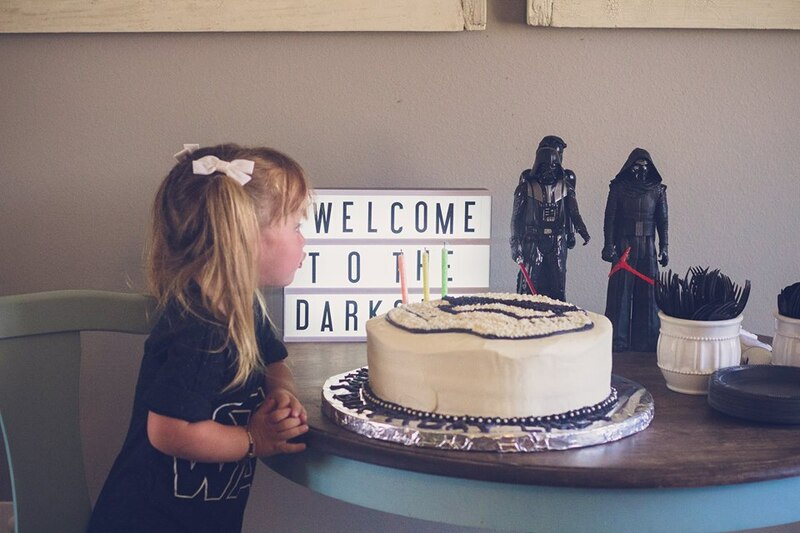 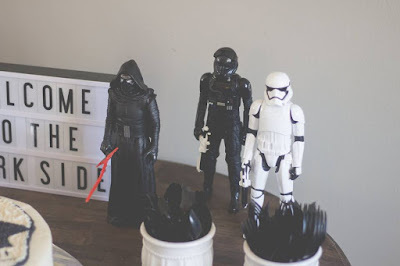 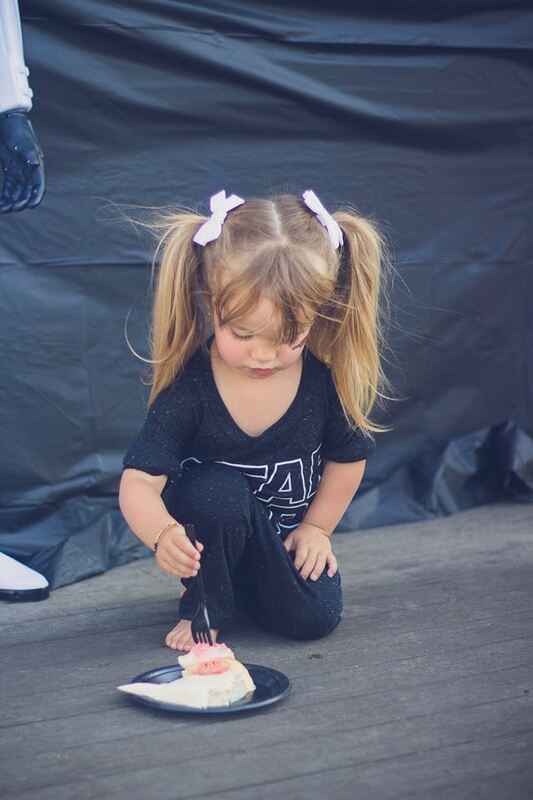 Lilly turned three early this month and we celebrated with a giant star wars party, but only the bad guys of course. 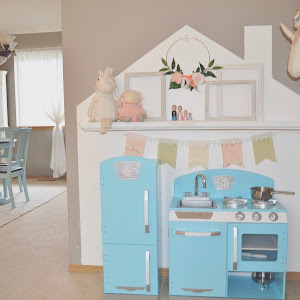 I never would have imagined how much fun it was planning a party around a childs favorite things. Being the control freak I am I thought that it would be hard for me not getting to pick the theme, but this was the best party we have had yet. 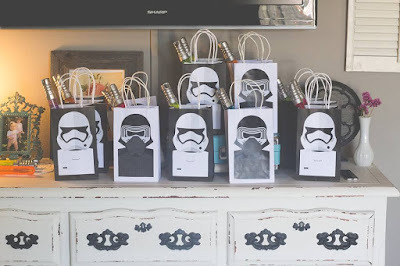 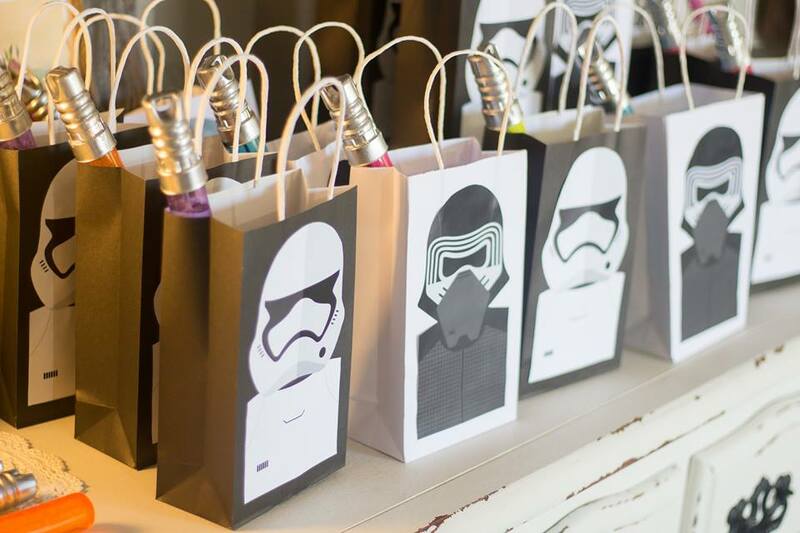 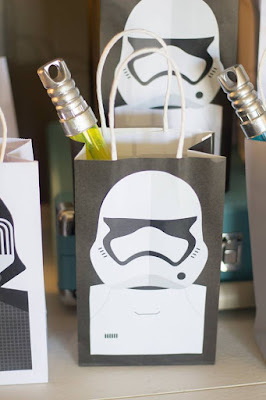 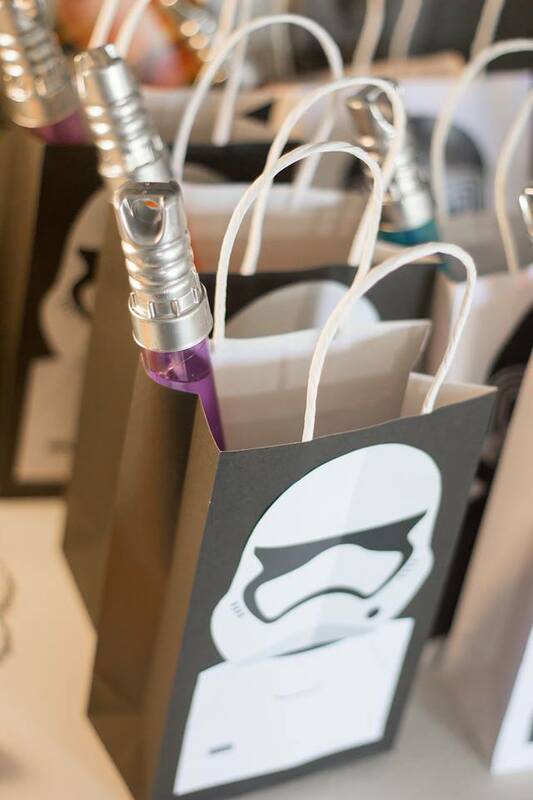 A huge shout out to Galactic Party Supplies for the goodie bags. 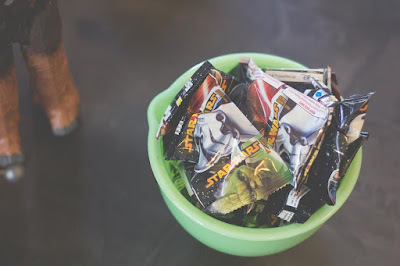 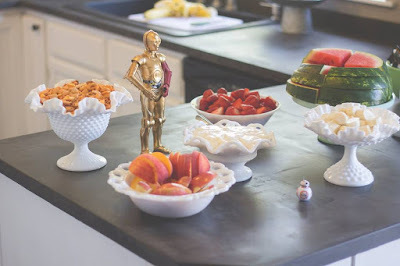 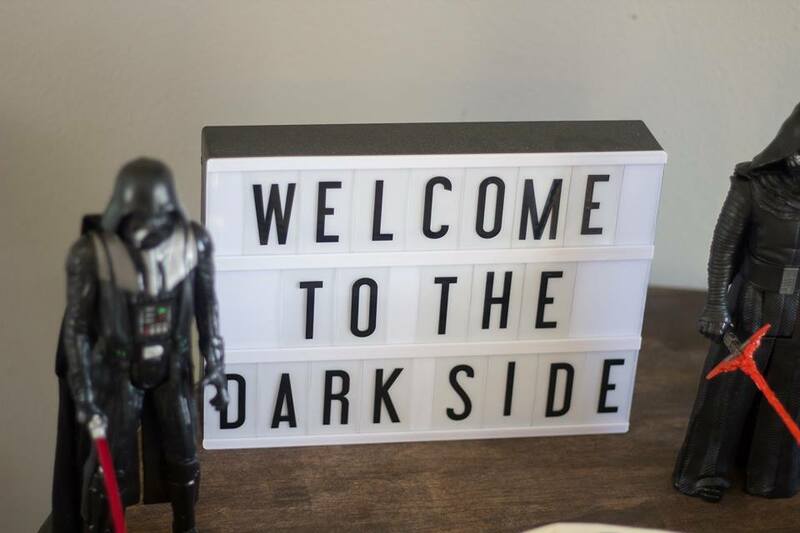 They added the perfect touch for the kids to feel like they were a part of the Star Wars theme.